The vestment or garment worn by clergy members showcases the beauty and elegance with which it is regarded. Each piece of cloth that adorns Bishops, Priests, Deacons, Subdeacons, and Readers signifies a tradition that has been handed down through generations. This is the reason why choosing the right form of vestments is important to the traditionalism attached to it. At Istok Church Supplies we understand and appreciate the significance of Bishop and Liturgical clergy vestments and their ample differences. When we procure and create these vestments, the utmost care is taken to ensure that they follow the traditions laid down for it. Each icon, design and embroidered pattern on the vestment has been created after careful study of the scriptures. When that is done, only then can it be translated on to cloth in a fashion that befits the post of the wearer and his standing in the community itself. 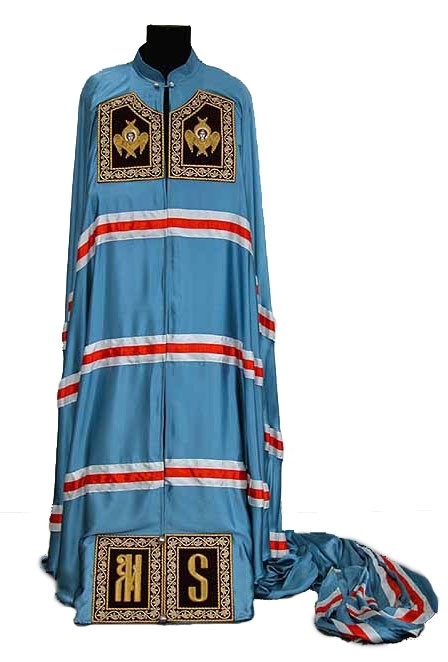 Istok offers various choices when it comes to the Greek and Russian Orthodox clergy vestments. These are presented in traditional liturgical colors: black, blue, claret, green, red, yellow, violet and white with gold or silver threads. From the kind of fabric you would need to the kind of pattern you expect on your vestments, Istok ensure every need is accomplished before the vestments are tailored to your exact measurements. We offer completely hand-embroidered or machine-made crosses and icons and can even put in the less expensive embroidery selections based on customer decisions. The type of lining you prefer and the use of high quality velvet are all left to the customer’s discretion. Such multiple choices ensure the final product will be 100% satisfactory and will reflect the need and budget identified.